We, the seller, agree to warranty this puppy for 90 days from the date of reservation from any illness that is genetically related. We, the sellers, will replace the defective puppy with a puppy of comparable quality, as determined by the seller, within sixty days of the safe return of the defective puppy. Full medical documentation must precede the return of the defective animal. The documentation must explicitly and singularly identify that the cause of the puppy’s defect is genetically related. The results of this documentation are to be evaluated by a veterinarian of the seller’s choosing to confirm and authenticate the results provided by the buyer’s veterinarian. The findings and opinions of the seller’s veterinarian are to be considered final and ultimate opinion. All transportation expenses involved in the return of the original puppy as well as the replacement puppy are the responsibility of the buyer. We, the seller, do not agree to compensate the buyer for any veterinarian expenses other than those detailed below related to the parvo virus. We offer a cash compensation, not replacement, in the instance of a puppy we sell that acquires the Parvo virus. Parvo is a canine virus that is commonly thought by many veterinarians to have an incubation period of 3-7 days. If the puppy breaks with Parvo within the first three days after you receive it, then it probably did not contract the virus at your location and we, the seller, will compensate up to $350 in documented medical expenses related to Parvo if it is reported to us within 72 hours after the puppy is received. If the puppy breaks with Parvo between three days and seven days after it leaves our premises, then it is less clear whether the puppy contracted the virus at your location or otherwise. We will compensate $175 for documented medical expenses related to Parvo that are reported to us three to seven days after the puppy is received. We will not make any compensation for parvo that is reported to us seven or more days after the puppy has been received. We, the sellers, offer the buyer the opportunity to have the puppy inspected by a veterinarian of the buyer’s choice within 72 hours of the arrival of the puppy. If a condition, genetic or otherwise, is found, that is a major detriment to the puppy’s long term health, the buyer may return the puppy for a puppy of comparable quality, as determined by the seller. The buyer must make the seller aware of this discovery within 48 hours of the time that the buyer receives the puppy. The replacement puppy will be delivered to the proximity of the buyer within 60 days of the safe return of the original puppy. All transportation expenses related to the original puppy as well as the replacement puppy are the responsibility of the buyer. The seller does not extend this policy related to common or insignificant or short term conditions. These include, but are not limited to, the presence of common parasites (round-worms, coccidia, giardia, hookworms, tapeworms, etc. 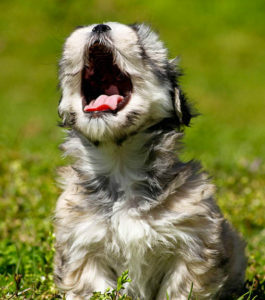 ), fleas, small scratches, scrapes or bites from other puppies or coughs that are deemed to be short -term and easily treated not considered a major detriment to the puppy’s long term health. The opinion of the seller’s vet, during the initial examination is to be considered final regarding non-genetic illnesses and cannot jeopardize the seller if the puppy is mis-diagnosed by the buyer’s veterinarian regarding diagnosis or prognosis of the condition. All veterinarian expenses resulting from this inspection are the responsibility of the buyer not the seller. The buyer has five days upon the discovery of the above mentioned major and long-term health detriment to return the puppy to the proximity of the seller (BHM Birmingham International Airport or in person as agreed upon by the buyer/seller). Failure to return the puppy to seller within five days is construed to reflect that the buyer is satisfied with the puppy’s health and absolves the seller from responsibilty from that day forward for non-genetic illnesses or problems. We represent our puppies as being suitable as pets only. We make no claim that they are suited as breeding or show animals and we offer no compensation for circumstances or characteristics that limit the dogs ability to be bred or competitively shown. Breeding quality can only be determined at maturity and suggested under the advisement of a licensed veterinarian. Our 90 day genetic warranty also will include an event of sudden death of a puppy that we sell, due to genetically related circumstances, we agree to replace the puppy with a puppy of comparable quality, as determined by the seller, within sixty days of the death of the puppy when they seller receives a certificate of death issued from a licensed veterinarian. The certificate of death must say explicitly that the cause of death was related to an identified genetic condition. The results of this certificate are to be evaluated by a veterinarian of the seller’s choosing to confirm and authenticate the results. All post-mortum procedures performed on the deceased puppy are the responsibility of the buyer. All transportation expenses related to the replacement puppy are the responsibility of the buyer. We, the sellers do not agree to extend this policy to puppies that die in a non-sudden manner. (i.e. from a condition that the buyer had become aware of previously but has elected not to return the puppy to breeder for a comparable replacement or to seek veterinary intervention when possible either). 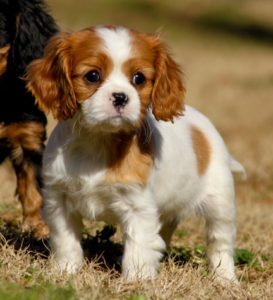 The deposit amount of $250 is non-refundable if the buyer defaults on the purchase of the puppy. However, it will be returned if the seller defaults on the sale of this puppy for any reason. The balance of the purchase price is to be received by the seller within ten days after the reservation for the puppy was placed or the seller may offer this puppy to other interested parties and retain the deposit amount.